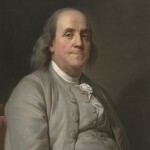 Statesman and publisher Benjamin Franklin spent several years as a vegetarian. In 1770 he sent from London a shipment of "Chinese caravances"–soybeans–to Philadelphia botanist John Bartram with instructions for turning them into a Chinese "cheese" called "Tau-fu." Thus Franklin introduced the vegetarian staple tofu to the American colonies. 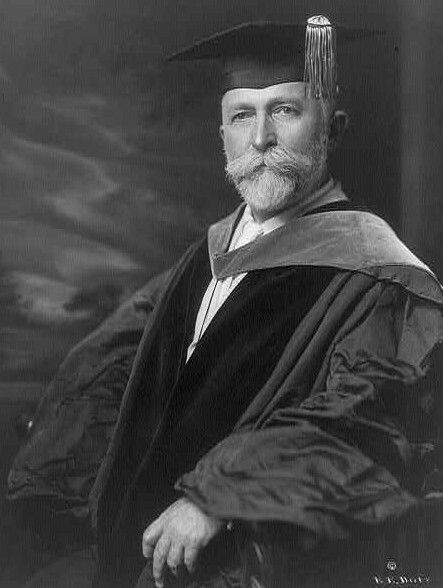 John Harvey Kellogg was a leading figure in shifting vegetarianism into a personal health movement. When he became the superintendent of the Battle Creek Sanitarium in 1876 he introduced flaked cereal as a healthier alternative to the usual breakfast fare of the sanitarium. This idea spread, with Philadelphia receiving its own Battle Creek Sanitarium in 1905. His brother, Will Keith Kellogg, who worked in the sanitarium for over twenty years, would go on to found the Battle Creek Toasted Corn Flake Company, which would become known the world over as Kellogg’s and would produce cereals such as Frosted Flakes and Rice Krispies. Before the twentieth century, vegetarianism was viewed as a moral or social reform issue. 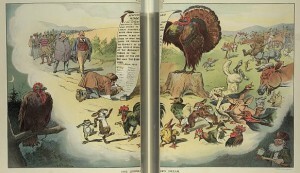 In this 1905 depiction a turkey dreams of a day when people will stop eating animals and instead commit to eating vegetables. With the people lining up to sign the pledge, animals of varying species can be seen dancing and celebrating the occasion. The reality of the situation is depicted by a disheveled man wielding an axe to kill the turkey. In this image, vegetarianism is depicted as lofty moral idealism, with people committing to a less violent way of getting the sustenance necessary for survival. The vegetarian movement in the United States was born in Philadelphia, and the city was pivotal in several of its most important developments. Throughout, Philadelphia maintained an ongoing community of vegetarians, including those who became known as vegans. Predating an organized movement, individuals practiced vegetarianism and some produced vegetarian cookbooks. 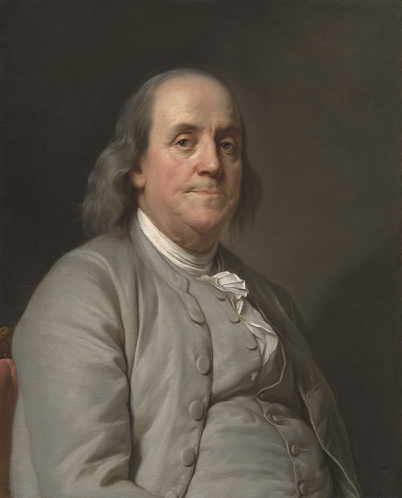 Benjamin Franklin (1706-90) spent several years as a vegetarian. In 1770 he sent from London a shipment of “Chinese caravances”–soybeans–to Philadelphia botanist John Bartram (1699-1777) with instructions for turning them into a Chinese “cheese” called “Tau-fu.” Thus Franklin introduced the vegetarian staple tofu to the American colonies. The American vegetarian movement dates to 1817, when members of a religious sect known as the Bible Christians arrived in Philadelphia in a quest for religious tolerance. In England the sect, an offshoot of the Swedenborgian New Jerusalem church, preached abstention from alcoholic drinks and from animal flesh. The Rev. William Metcalfe (1788-1862) led forty-one congregants to Philadelphia, where they founded the American branch of the Bible-Christian Church at 10 N. Front Street. This was not only the first vegetarian church in the United States but also the first large-scale grouping of vegetarians. Metcalfe became the first outspoken advocate of meatless diets to be known throughout the northeastern United States. He befriended vegetarian crusader William Alcott (1798-1859), a physician from Boston and cousin of Bronson Alcott (1799–1888), who lived in Philadelphia from 1830 to 1834. Bronson, the father of author Louisa May Alcott (1832-88), later founded a proto-vegan New England community called Fruitlands which, through a combination of agricultural ignorance, bad luck, and personal hubris, dissolved in a little over six months. Metcalfe also brought guest lecturers to Philadelphia, most notably Sylvester Graham (1794-1851). Later a household name because of the sugary version of his whole-wheat bread (the Graham cracker), Graham began his career as a temperance lecturer but soon turned his attention to healthful animal-free foods. In Philadelphia and other cities, his “Grahamite” followers established boardinghouses where like-minded individuals might stay, eat, and socialize according to Graham’s principles. In May 1850, Metcalfe joined with William Alcott and Graham to create the American Vegetarian Society. Following a founding convention in New York City, the society’s first official meeting took place in Philadelphia’s Bible-Christian Church on September 4, 1850. The society promoted vegetarian precepts (then intertwined with pacifism, women’s suffrage, and the abolition of slavery) across the nation. By the time of the Civil War, the group’s membership and influence waned, partially because the fight for abolition had turned to military violence. However, the Bible-Christian Church was also instrumental in the formation of a new national group, the Vegetarian Society of America, founded in Philadelphia in 1886 by Henry S. Clubb (1827-1921) and lasting until his death. Philadelphia’s chapter, the Philadelphia Vegetarian Society, was founded in 1890. In the early twentieth century, vegetarianism’s emphasis turned from social reform to personal health. 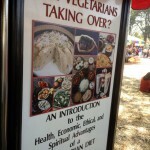 Vegetarian organizations proliferated throughout the country, many as chapters of the Vegetarian Society of America, and the geographic center shifted toward the Midwest with the popularity of the all-vegetarian Battle Creek Sanitarium opened in Michigan by John Harvey Kellogg (1852-1943). Kellogg expanded the idea to other cities, and Philadelphia gained its own Battle Creek Sanitarium at 1809 Wallace Street in 1905. Local vegetarian restaurants included the Hygienic Cafe on Walnut Street and the Good Health Restaurant on Market Street across from Lit Bros. department store. 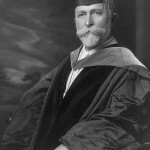 In the early twentieth century, vegetarian activism diffused into many localized, narrow campaigns and groups, with its core ideal–health, social reform, or ethics–uncertain. Then in 1944 in England, the coinage and promotion of “vegan” practices by Donald Watson (1910-2005) provided a new focus: avoiding animal exploitation. Initially the concept had little traction in the U.S., but in 1957 H. Jay Dinshah (1933-2000), a vegetarian from South Jersey, toured the Cross Brothers slaughterhouse at Front and Venango Streets in Philadelphia. Having seen the slaughter of dairy cows he stood on that corner and vowed to go vegan and fight–nonviolently–for a vegan world. In 1960 he founded the American Vegan Society, and with his wife, Freya (b. 1941), helped to create a vegan network via newsletters and lecture tours. Dozens of well-known animal-advocacy groups built upon this network, including the largest and most influential group, the North American Vegetarian Society, which Dinshah also co-founded. Vegan innovation in the Philadelphia area continued: in 1986 Gene Baur (b. 1962) and Lori Houston (b. 1959) opened the seminal institution Farm Sanctuary in Chester County with funds from their sales of veggie hot dogs in the parking lot of Philadelphia’s Spectrum arena. Also based in suburban Philadelphia, Gary Francione, a prominent animal-rights philosopher, became the first university professor in the United States to teach animal rights theory, first at the University of Pennsylvania (1985), then at Rutgers University (beginning in 1990). Peter Singer, the author of the influential Animal Liberation (1975), joined the faculty of Princeton University in 1999. VegNews Magazine in 2012 named Philadelphia “Best Midsize City for Vegans.” This can be credited largely to Rich Landau (b. 1967) and Kate Jacoby (b. 1980), whose Horizons restaurant moved in 2006 from Willow Grove to Philadelphia’s South Street area and established a new genre of upscale, creative vegetable-based dining. 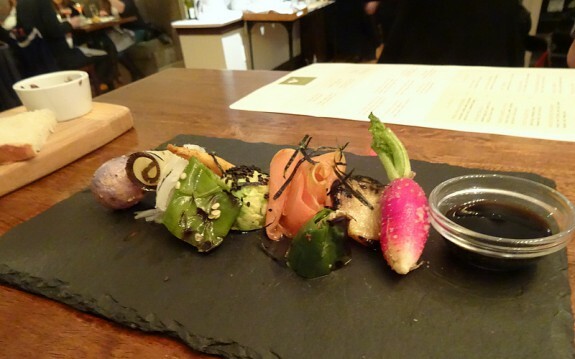 Many of the city’s most popular vegan eateries were created by former Horizons employees. 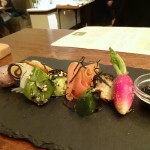 In 2011 Landau and Jacoby opened Vedge, focusing more tightly on vegetables instead of mock meat. In 2014 a 5,000-person Zagat survey named Vedge “#1 for “Best Food.” The tourism agency Visit Philadelphia spotlighted Philadelphia’s veg-friendly scene in multiple campaigns, building upon Philadelphia’s longstanding and continuing role as a pivotal player in boosting animal-free eating. Vance Lehmkuhl is a journalist with the Philadelphia Daily News and at Philly.com and is at work on a book about vegetarianism in Philadelphia. Hines, Mary Anne, Gordon M. Marshall, and William Woys Weaver. The Larder Invaded: Reflections on Three Centuries of American Food and Drink. Philadelphia: Historical Society of Pennsylvania, 1987. Iacobbo, Karen and Michael Iacobbo. Vegetarian America: A History. Westport, Conn.: Praeger, 2004. Puskar-Pasewicz, Margaret, ed. 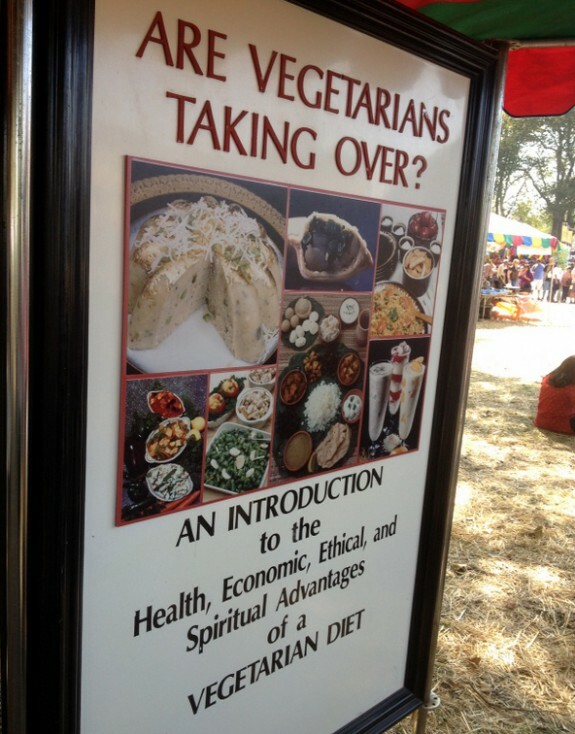 Cultural Encyclopedia of Vegetarianism. Santa Barbara, Calif.: ABC-CLIO/Greenwood, 2010. 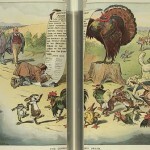 Shprintzen, Adam D. The Vegetarian Crusade: The Rise of an American Reform Movement, 1817–1921. Chapel Hill: University of North Carolina Press, 2013. Stuart, Tristam. The Bloodless Revolution: A Cultural History of Vegetarianism: From 1600 to Modern Times. New York: W. W. Norton & Company, 2008. Philadelphia Bible-Christian Church Records, Historical Society of Pennsylvania, 1300 Locust Street, Philadelphia. Site of the Bible-Christian Church, 10 N. Front Street, Philadelphia. Site of Battle Creek Sanitarium, 1809 Wallace Street, Philadelphia. Vedge, 1221 Locust Street, Philadelphia. I can’t wait to see the book. I’ve been vegan/veggie for 41 years! An interesting piece left out of this article is the fact that the Bible-Christian Church at 10 N. Front Street was only at that location for a very short time. They then moved the church to 3rd Street, just above Girard Avenue, in Kensington, where they stayed for a number of years before relocating yet again and their 3rd Street property was taken over by company who built a slaughterhouse on the sight. I always found that rather ironic.